I read this entry in Wild Mind to my writing students somewhere near the end of our time together as a class. I always threaten to get a fairy wand during Halloween and bring it to class, so I can wave it wildly in front of them. Maybe pixie dust would be better because I could sprinkle it on them. The essential point that Natalie makes is that we seek another writer’s permission to be a writer. She explains that you don’t actually ASK if it’s okay to write. You have to read the whole entry yourself. In fact, buy the book. It’s that good. Buy her book Writing Down the Bones, too. As a writer, you will never regret it. Her writing is like the water in my Mother’s refrigerator: breathlessly cold and sweet. I always think that I prefer a Cherry Coke until I get my first mouthful of that water. Then I know. “I was thrilled. A seasoned novelist had given me the nod. After she left, I sat on my bed, thinking, ‘I want to be a writer more than anything else. That’s what I want to leave to future generations. If I stay true to this path, I won’t be afraid to die when it’s my time.’ I felt an invisible thread pulling me through my life. I wouldn’t be so afraid to die because I would have been busy dying in every book I wrote, learning to get out of the way and letting my characters live their own lives. 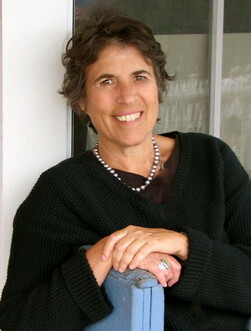 Natalie Goldberg is brilliant, so go out and get all her books. Off you go!